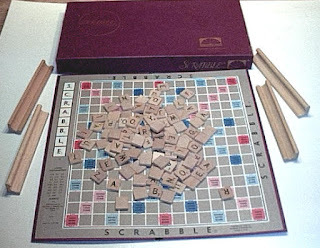 Scrabble, one of my favourite games. I remember lying on the couch with the chicken pox playing Scrabble with Mom when I was in grade 5. She let me use words like 'IQ' to get rid of my 'Q'. 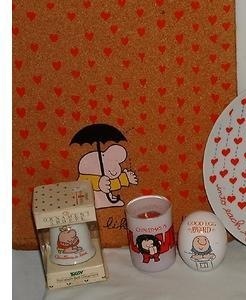 We memorized the backs of the tiles and could always spot the blank.......we were sneaky like that. My brother got this book one year for his birthday, as you can see by the photo. 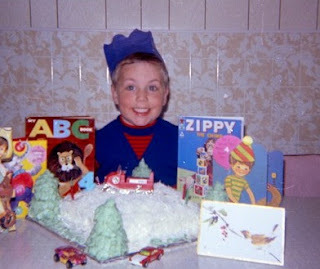 According to the number on the cake my brother turned 4, that was in 1973 (and I remember that the snowmobile on his cake was a wind-up toy). 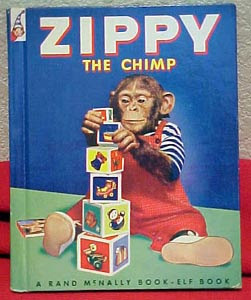 Ah, the good old days when a little golden book was a perfectly good birthday gift. 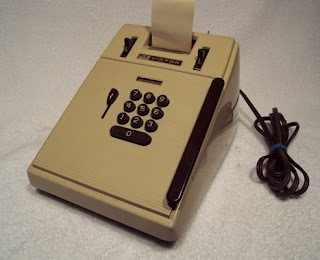 My parents owned this and my father used it on occasion, I would say when he was doing up his taxes. 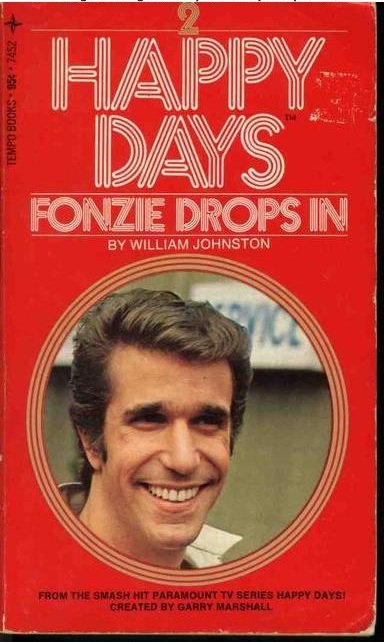 It was kept in their bedroom closet and had a plastic cover. We would play with it if Dad had it down, but not with paper in it (that would be a waste!). 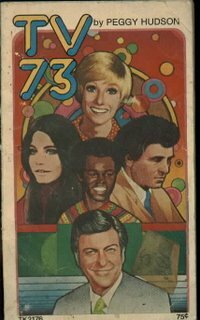 This was as high-tech as it got at our house in the 1970's. 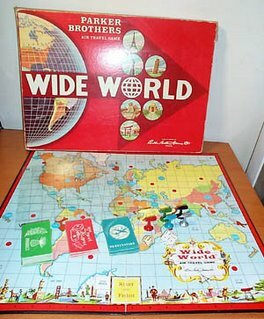 My brother owned this game, we played it often. I still remember the line from the commerical: "You sank my battleship!". 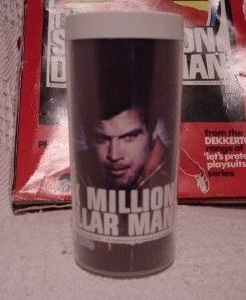 My brother had this plastic drinking glass (we called them tumblers) with the Six Million Dollar Man on it. I remember watching that show on tv. 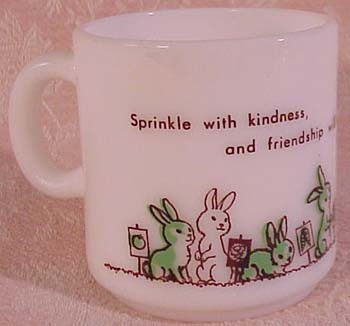 Funny how it was only my younger brother who had the special mugs and tumblers. Can you say spoiled? 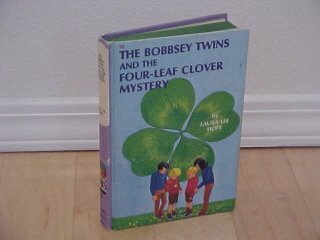 I read this book a few times when I was growing up and even did a book report on it in grade 7. 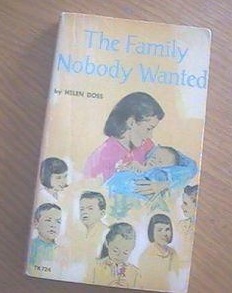 It was based on a true story of a family who adopted unwanted children......almost a dozen of them. 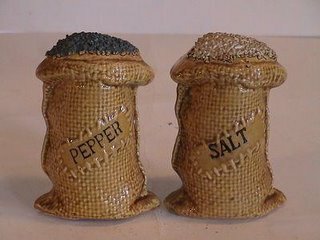 This was another set of salt and pepper shakers Mom had in her collection. I would say these were pretty old, probably bought in the 50's. 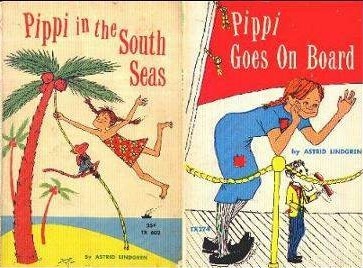 I remember reading these when I was in elementary school. I owned the first book and the other two I borrowed from the library. 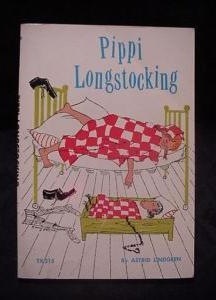 But I can't remember a single thing about the books which is odd because I remember a lot of books I read as a kid. 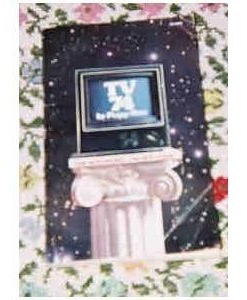 Bulletin boards were popular when I was a teenager. My sister owned this one. The Bobbsey Twins books were among my favourite books when I was growing up. My sister owned the first book and my cousin owned several of the others, she lived next door and I would often read her books. 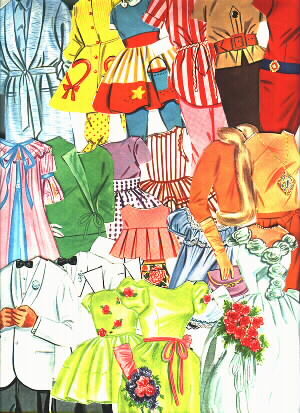 My older sister owned these cutouts and my younger sister and I were allowed to play with them sometimes. 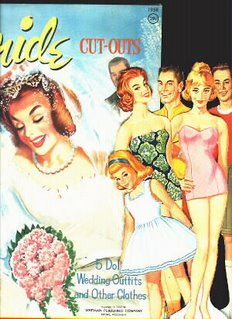 I loved them, their clothes seemed so fancy! I never read this book but it was in my brother's room with the rest of his books. 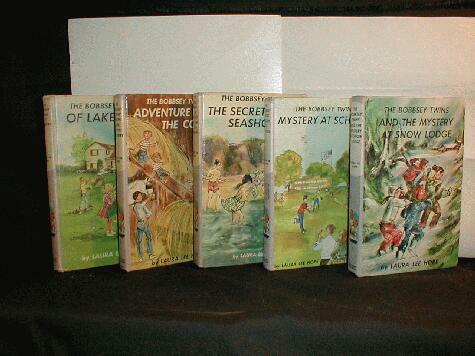 My older brother and sisters owned these books, I think they ordered them from school. 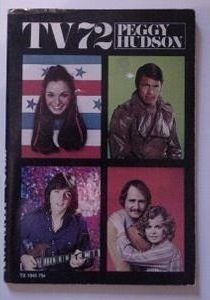 I loved reading them and looking at the pictures of my favourite tv programs. This was another salt and pepper set in Mom's collection. 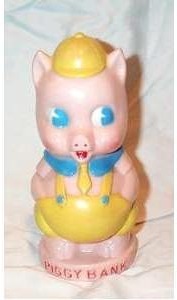 I don't remember who owned this piggy bank, probably my younger brother. I don't even think it was used because I seem to recall that there was no stopper in the bottom. 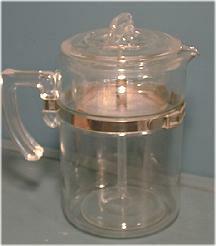 Every meal Mom would make a pot of tea in a teapot like this. 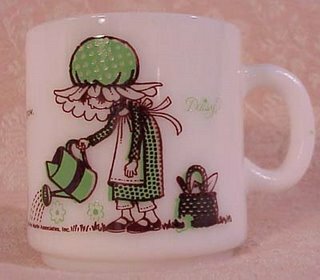 I remember her telling me it was actually a coffee perculator but she had removed the middle section and just used it for steeping tea. It was always on the stove. 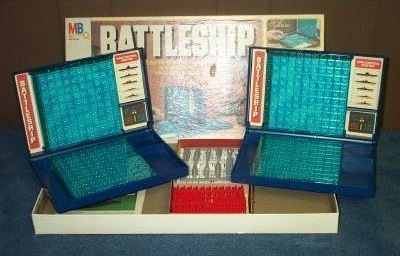 This was my aunt's and we would go next door to play it with her. Her box wasn't red but I believe the rest of the details are the same. The playing pieces were little planes and you had to go to different countries and collect product cards. But you had to be careful not to get caught in the weather. This was my sister's mug. I'm not sure but hers might have had yellow accents instead of green.